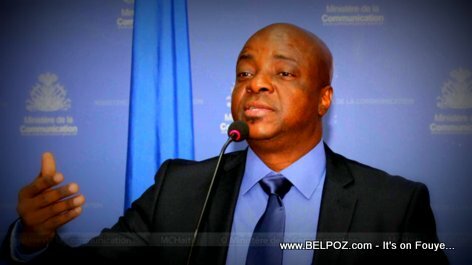 Haitian communication Minister Guyler C. Delva announced on his Twitter page that he is about to submit his resignation to president of Haiti Jovenel Moise who complained recently that communication is a big problem in his administration. President Jovenel openly blamed his communication team during his national address after the violent gas price riots. "The president has an extraordinary vision for this country he wrote on his Twitter page and for me it was a great pleasure to have the occasion to work with him. 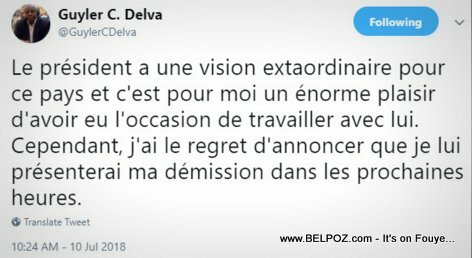 However, I regret to announce that I will present to him my resignation in the coming hours," Ministre Guyler C. Delva said in his tweet.